I have to give all the credit to Chris Nguyen for coming up with the headline for this post. He and I were discussing business yesterday and the topic of elected officials retiring came up. 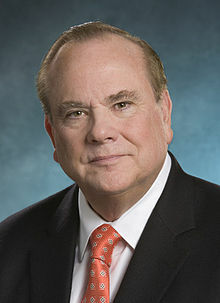 Until he mentioned it, I had no clue that California Treasurer Bill Lockyer had announced his retirement. I did confirm that Lockyer announced his retirement yesterday through an article on Capitol Alert. Lockyer, 72, a longtime fixture in Democratic politics in California, will leave the Capitol having never lost an election – from a school board contest in San Leandro in 1968 to the Assembly and Senate and then 16 years in statewide office. Republicans may be thinking to themselves that this is amazingly great news because it frees up a statewide seat for us to contend for. However, they are not taking into account that Bill Lockyer has over $2,000,000 just lying around with nowhere to spend it. He likely won’t spend this on the race for treasurer as it is widely expected that John Chiang who currently holds the office of California Controller is the definite front-runner for the seat. I expect to see this money end up in a Super PAC and end up getting spent on some different races throughout California (Congress, Ballot Measure, etc…). This entry was posted on June 4, 2013 at 10:54 AM	and is filed under California. Tagged: Bill Lockyer. You can follow any responses to this entry through the RSS 2.0 feed. You can leave a response, or trackback from your own site.